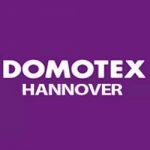 Domotex Hannover is World Trade Fair for Carpets and Floor Coverings. This event is dedicated exclusively to the architectural designing and floor covering industry. The event showcases carpets, textile floor covering options, wooden and parquet flooring, floor lamination, etc. An even greater focus on innovation, trends, and lifestyle! We are going to present our new collection of natural colors and surfaces as well as new captivating patterns and construction option. We welcome you and hope to see you at our booth – Hall 13, D68.